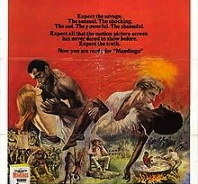 Mandingo is a 1975 film, based on the novel Mandingo by Kyle Onstott and upon the play based thereon by Jack Kirkland. The film was directed by Richard Fleischer and featured James Mason, Susan George, Perry King, Lillian Hayman, boxer-turned-actor Ken Norton, and bodybuilder and pro wrestler-turned-actor Earl Maynard. 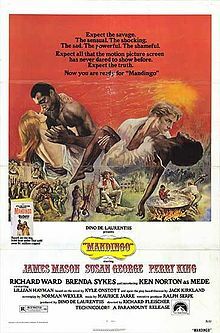 On Falconhurst, a run-down plantation owned by the widowed Warren Maxwell (James Mason) and his son Hammond (Perry King), a Mandingo slave Ganymede, or Mede (Ken Norton), is trained to fight other slaves. Hammond neglects his wife Blanche (Susan George), whom he rejects on their wedding night after discovering she was not a virgin. Hammond instead ravishes his slave Ellen (Brenda Sykes), while Blanche seduces Mede. These various, conflicting affairs all eventually come together causing the film to end tragically.